Krizia grew up in Miami to Cuban parents, and true to her Latin roots and Sagittarius spirit, she wasn't one to shrink in the background. A born entertainer, she encouraged her love of performing arts with dance, theatre, and self produced magic shows. She has continued to live out her passion in Los Angeles, appearing in dozens of commercials, several films and TV shows such as Scorpion, Notorious CSI: Cyber, The Odd Couple, Cristela, and How I Met Your Mother just to name a few. 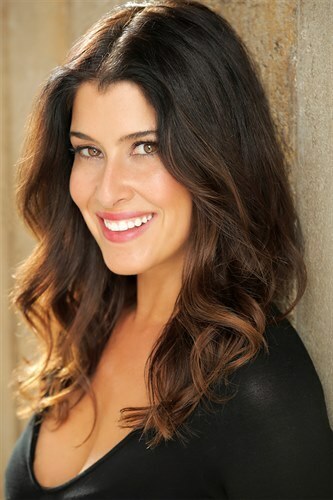 She's also known for her extensive voice over and commercial work which include the voice of CMT, Boston Market, NBC5, Nick Jr./Direct TV and appearing in spots for Wendy's, Applebee's and Toyota (to name a few) and firmly footed in the video game world with League of Legends, Halo 5, Grand Theft Auto V, The Sims 4, State of Decay 2, Prey and Fallout 4. She calls Los Angeles home, although she keeps her Caribbean heritage alive by cooking as much Cuban food as her hips allow her to ingest and delighting in the sounds of Omara Portuondo on her record player. Krizia is a curious creature who is constantly fascinated by people and the inner workings of the human mind and soul. She loves traveling to Hawaii or any beach getaway, catching fly balls in her softball league, and lazy Sunday afternoons with her Love and her little rescued rascal, Lucy.